Berkeley boasts some of the best food, history, and activities the Bay Area has to offer, complete with its own unique blend of Berkeley culture. Whether you are exploring Berkeley for the first time or you’re looking to remind yourself why you love the city, here are the top things to do and see. Take advantage of the beautiful weather with scenic dog-friendly hiking trails, lakes, botanical gardens, and Tilden Park Golf Course. The Little Farm and steam train at Tilden Park make it a perfect destination for kids, and large grassy hills lend themselves to picnics and games. Check out the Tilden Park website beforehand for updates on swimming conditions at Lake Anza and special events. The Gourmet Ghetto is rich with food from around the world at a range of prices. Here, you will find the prestigious Chez Panisse, an upscale American restaurant created by the influential Alice Waters and dedicated to fresh and seasonal ingredients. The Cheeseboard Collective, a unique worker-owned cooperative and Berkeley favorite, is a joint cheese store and bakery and pizzeria. The Cheeseboard cheese shop features almost 400 different cheeses and taste testing, while the pizzeria a few doors down offers a carefully crafted pizza of the day and live music at low prices. You can sign up for a culinary walking tour, stop by on Thursdays for the organic farmer’s market, design your own jewelry, or simply wander down the streets and up alleyways to discover a new and exciting gourmet experiences. Even if you’re not interested in betting on races, Golden Gate Fields is lovely for people watching, horse watching, and sports watching; there are several rooms in which races and sports games are simultaneously broadcasted and plenty of indoor and outdoor seating. Take advantage of Dollar Day every Sunday at Golden Gate Fields race track, which offers dollar admission, dollar parking, dollar hot dogs, and dollar beer. If you’re looking for something more substantial than a hot dog, The Turf Club offers American pub-style cuisine and faces the track. The dress code here is ‘smart casual,’ but everything goes in general admissions seating. Golden Gate Fields is conveniently located right by Fourth Street Shops and Vik’s Chaat and Market, where you can find beautiful furniture and novelty stores, art, and restaurants and amazing Indian food, respectively. If you want to get a taste of the history of the oldest college in the University of California system, you have to start at Sproul Plaza. Sproul Plaza is a major center for student activity at Cal, and it provided a platform for the Free Speech Movement, the Black Panther Party, the Occupy Movement, and more. 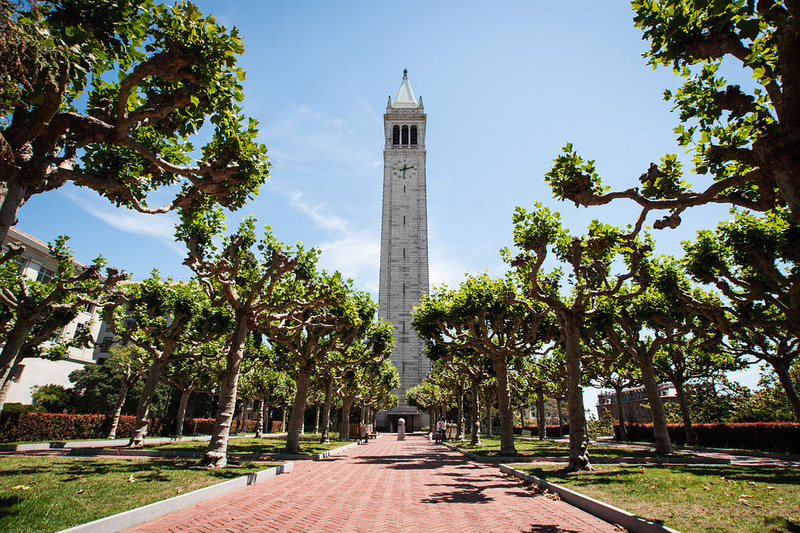 Don’t miss the chance to see Berkeley from the famous Campanile (Sather Tower), the third tallest bell and clock tower in the world and a favorite symbol of the university. In the hills of Berkeley, look out for pits left in the rock formations by its original inhabitants, the Ohlone people. Indian Rock Park has spectacular views of the San Francisco Bay and fun rocky trails to explore. The Berkeley Marina is perfect for getting out into the open. 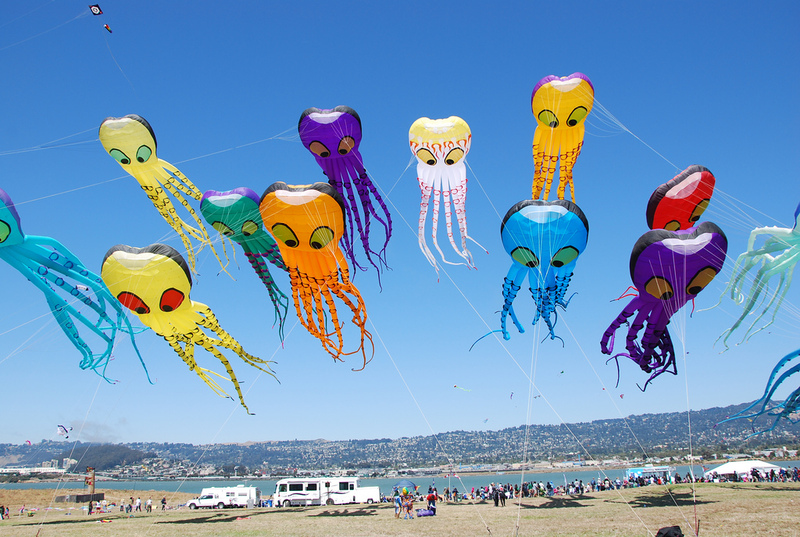 Relax in the grassy green expanses of César Chávez Park, fly a kite, or take a leisurely walk along the bay. Take the children to the Adventure Playground to push their imaginations with unique equipment and structures, or enjoy the great view overlooking the bay with dinner and a cocktail. Telegraph Avenue is the best way to get a feel for Berkeley’s culture with its classic Berkeley thrift shops, half-off bookstores, and live music. This famous avenue is packed with history, art, great restaurants and bars, and students and faculty from UC Berkeley. Don’t forget to pay Amoeba Music, the world’s largest independent record store, a visit while you explore. UC Berkeley’s public science center, the Lawrence Hall of Science, is tucked away in the Berkeley hills. It is geared more towards engaging children with science but can be fun for people of all ages, and the beautiful view of the bay and cool architecture make it the perfect picnic spot. The hall features exhibits covering engineering, animals, dinosaurs, and astronomy, and it includes special events such as 3D film screenings and planetarium shows. Regular admission is $12 with discounts for children and seniors. Neha Pearce is a Bay Area native who spent the last four years studying psychology and English at the University of California, Santa Barbara. In her last year as an undergrad she took course work in Film Studies and worked as an intern producer for a local media company.